The American Society of Plastic Surgeons (ASPS) is accredited by the Accreditation Council for Continuing Medical Education to provide continuing medical education for physicians. 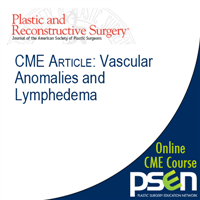 The ASPS designates this journal-based CME activity for a maximum of 1.0AMA PRA Category 1 Credits™. Physicians should claim only the credit commensurate with the extent of their participation in the activity. This educational activity is intended for plastic surgery practitioners, residents, and other healthcare professionals interested in translating expanded knowledge into practice for the improvement of patient outcomes in plastic and reconstructive surgery. This article provides an introduction to congenital hand differences by focusing on practical surgical strategies for treating five commonly encountered conditions, including syndactyly, constriction ring syndrome, duplicated thumb, hypoplastic thumb, and trigger thumb. The accompanying videos demonstrate common and reliable surgical techniques for syndactyly release, duplicated thumb reconstruction, and pollicization for hypoplastic thumb. 1. Recognize the clinical features associated with five common congenital hand conditions. 2. Describe the indications and appropriate timing for various surgical procedures used to treat congenital hand anomalies. 3. Identify the pearls and pitfalls of these surgical treatments to avoid complications. 4. Understand the expected post-operative outcomes associated with these surgical procedures. Dr. Rohrich, MD is the Principal/Co-Principal Investigator of research grants awarded to the University of Texas Southwestern Medical Center, Dallas, from Medicis, Mentor, and Contura Pharmaceutical. All research funds are provided directly to UT Southwest. Dr. Stuzin has no relevant financial relationships or affiliations to disclose. Dr. Lalonde is a consultant for ASSI Instruments. None of the authors have relevant financial relationships or affiliations to disclose. All ASPS staff members managing this activity have no relevant financial relationships or affiliations to disclose. All identified conflicts of interest have been resolved and the educational content thoroughly vetted by ASPS for fair balance, scientific objectivity, and appropriateness of patient care recommendations. The ASPS also requires faculty/authors to disclose when off-label/unapproved uses of a product are discussed in a CME activity or included in related materials. Participants must have internet access, browser software (either Chrome, Firefox, or InternetExplorer), Adobe Flash, and Adobe Reader. Supported Operating & Browser Systems: Microsoft Windows - IE7 or later, Firefox 3.x or later, Chrome 8.x or later. Macintosh Mac OS - Firefox 3.x or later, Safari 4.x or later. Linux - Firefox 3.x or later. Minimum Hardware Configurations: Windows - Intel Pentium II 450MHz or faster processor and 128MB of RAM. Macintosh - Power PC G3 500 MHz or faster processor OR Intel Core Duo 1.33GHz or faster processor and 128MB of RAM. Linux - Modern processor 800MHz or faster and 512MB of RAM with 128MB of graphics memory. The American Society of Plastic Surgeons* (ASPS*) maintains this website to provide information of a general nature about the specialty of plastic surgery. Additionally, any instrumentation shown on the site may or may not have received FDA approval. 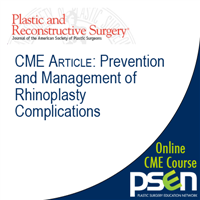 Any information in the publications, messages, postings, articles, online courses on the website should not be considered a substitute for consultation with a board-certified plastic surgeon to address individual medical needs. Your particular facts and circumstances will determine the plastic surgery treatment which is most appropriate for you. All materials published on the website (including but not limited to articles, photographs, images, illustrations, audio clips and video clips) are protected by copyrights which are owned and controlled by ASPS or the party credited as the provider of the material. The entire contents of the website are also copyrighted as a collective work under the United States copyright laws, and the selection, coordination, arrangement and enhancement of such content are protected by copyright. You shall abide by all copyright notices and other restrictions contained in any material accessed through the website. No material from the website may be copied, reproduced, republished, uploaded, posted, transmitted, or distributed in any way, except that you may download one copy of the materials on any single computer (or other electronic device) for your personal, noncommercial use, and may print one hard copy of the material on the website for your personal, noncommercial use, provided you keep intact all copyright and other proprietary notices. You acknowledge that you do not acquire any ownership rights by downloading or printing copyrighted material. Modification of the materials or use of the materials for any purpose other than personal, noncommercial use is a violation of the respective owners' copyrights and other proprietary rights. The use of any such material on any other website or networked computer environment is prohibited. All trademarks, service marks, and trade names are proprietary to ASPS or the other designated owner of a posted mark. Elements of the website are protected by trade dress and other laws and may not be copied or imitated in whole or in part. Use of Information Provided: If you voluntarily provide information, you consent to the collection and use of your personally identifiable information by ASPS. However, ASPS does not sell or rent personal information collected through this site to anyone. Regarding Cookies: ASPS may utilize a standard Internet technology called "cookies" to collect information about how the society's website is accessed and utilized. Cookies can allow a website operator to determine that a user visited the site in the past and thus save and remember preferences that the user may have set while browsing the site. Cookies do not allow the website to retrieve any other data from your hard drive or obtain your e-mail address. ASPS may also make use of memory-based cookies in support of authenticating the user of certain ASPS web applications. While users maintain the ability to modify browser settings to either accept all cookies, notify you when a cookie is sent, or reject all cookies, it may not be possible to utilize certain ASPS services which require registration if the browser is set to reject cookies. Other Sites: This website contains links to other sites. While ASPS strives to link only to sites that share our high standards and respect for privacy, the society is not responsible for the privacy practices employed by other sites. If you have questions or concerns regarding this statement, you should contact us at webmaster@plasticsurgery.org. Contact the American Society of Plastic Surgeons (ASPS) Online Education Department via Phone: 1-800-766-4955 or Email: onlineeducation@plasticsurgery.org. 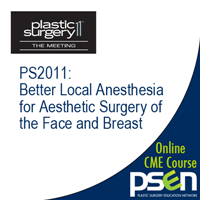 * “American Society of Plastic Surgeons” and “ASPS” are registered trademarks of American Society of Plastic Surgeons, a not-for-profit Corporation.